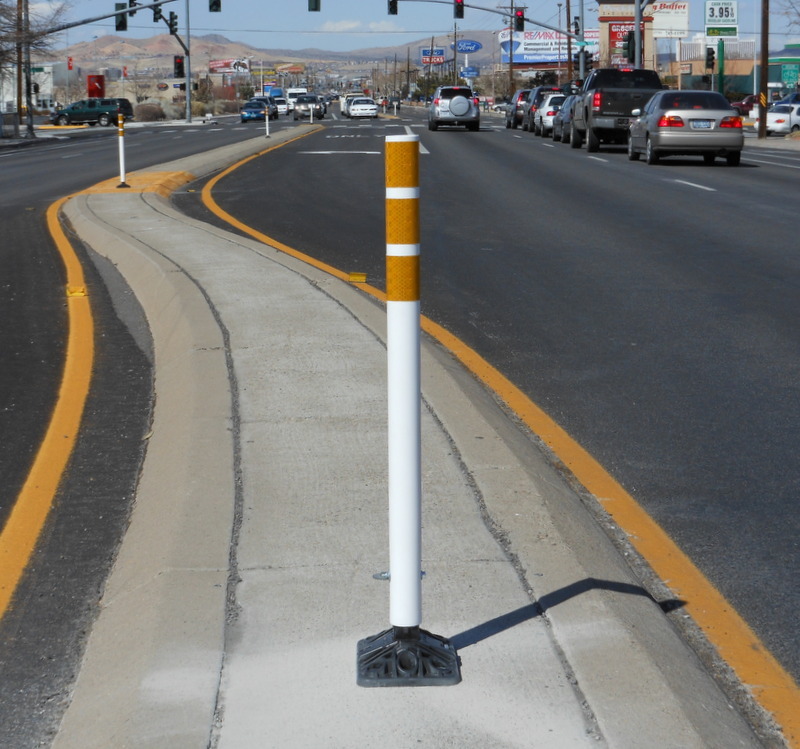 Surface Mount Posts utilize a proven SHUR-FLEX insert – a sturdy, non-metallic, one component piece that holds up to the rigors of roadway abuse. Posts are mounted to any hard surface and can be epoxy and/or bolted down. Every post is tested for multiple hit omni directional impact and is self -righting after impact. All posts are designed for easy replacement and will accommodate small signs.